Ask the Doctors – How beneficial or risky is a daily glass of wine? Dear Doctors: I enjoy a nice glass of wine at the end of the day, but I’ve heard various reports about its health risks. So, tell me: In women, does alcohol increase or decrease the chances of premature death? It depends on the amount. The most definitive study on this topic was done in 1995. It looked at more than 85,000 women, ages 34-59, and followed them for 12 years. That research found that having one drink (2 units of alcohol) every 3-4 days was linked to a significant decrease – 17% -- in death during the course of the study. One drink per day was linked to an 11% decrease in death rates. However, more than one drink per day increased death rates, compared to no alcohol at all. For women, the greatest benefits of alcohol were in the link to reductions of stroke and heart attacks. Yet, as women increase their alcohol intake, the risk of cancer increases. In this study, there was a significant correlation between having two or more drinks per day and breast cancer. Another study, in the journal BMC Medicine, showed no heart health benefits among people who drank more than three drinks per day. In fact, alcohol has been shown to be toxic to the muscles of the heart and can lead to heart failure. Alcohol consumption can also lead to atrial fibrillation, an abnormal rhythm of the heart that can lead to strokes. The detriments of heavy alcohol use don’t stop there. These include increased risks of cirrhosis of the liver, pancreatitis, esophageal reflux and, as mentioned above, cancer. Alcohol for some can also be very addictive, with withdrawal effects that can lead to death. In short, alcohol does have benefits when it comes to lifespan, but those benefits vanish when a woman drinks two or more drinks per day. 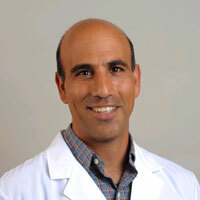 Robert Ashley, MD, is an internist and assistant professor of medicine at the University of California, Los Angeles.